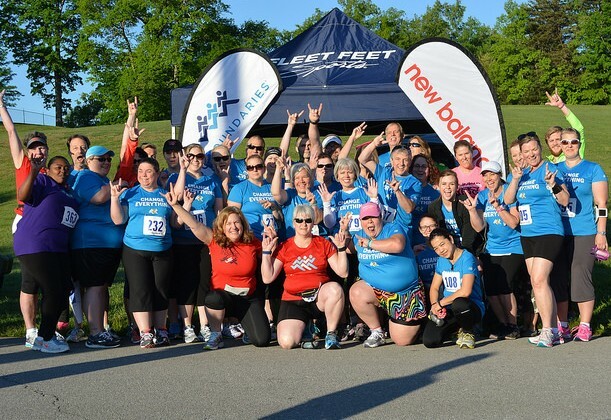 Fleet Feet Knoxville was honored to be involved once again with the Tennessee School for the Deaf's annual Run for the Deaf 5k, which took place on Saturday. Race weekend began on Friday morning with the kids run for TSD students, where Fleet Feet set up a water stop manned by volunteers and TSD students to help the kids stay hydrated during their one miler. Elementary to high school students ran, with the older kids helping the younger ones navigate the course. The kids loved it, especially the part where they got to throw their water cups! 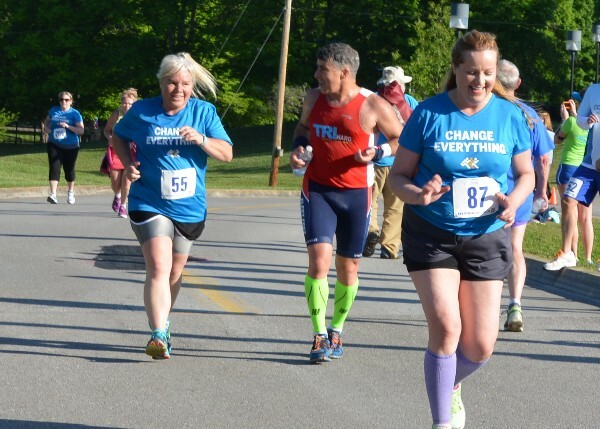 The following morning was the official 5k, and Fleet Feet Knoxville was out in full force with both the No Boundaries, No Boundaries II, and Triathlon training groups competing as teams. This was the graduation race for No Boundaries, and so for many training participants, this was their first race. Run for the Deaf is a beautiful race to kick off a newfound passion for running/walking, and despite the huge hill in the last few meters, many training group members achieved personal records! Fleet Feet also cleaned up at the awards podium, with both staff and training group members placing. Almost everyone who won had to leave early in order to get their cycling training in, so it fell to Fleet Feet employee Katlyn to pick up everyone's awards. I t looked a little suspicious to see one person claim so many prizes, but that's just what happens when you have such dedicated athletes on your team! Fleet Feet Knoxville would also like to congratulate TSD student Gashau Duhamel for placing 3rd Overall. This was his first 5k, making his victory even more impressive! And last but not least, No Boundaries won the Team Award! It was the perfect conclusion to the program. Let us know in the comments how your race went, we'd love to hear from all of you! All in all, it was a fantastic weekend supporting a wonderful cause. We can't wait to do it again next year!